Kim Kardashian and Bar Refaeli are big fans of Platelet Rich Plasma (PRP) treatment, and now, so am I. 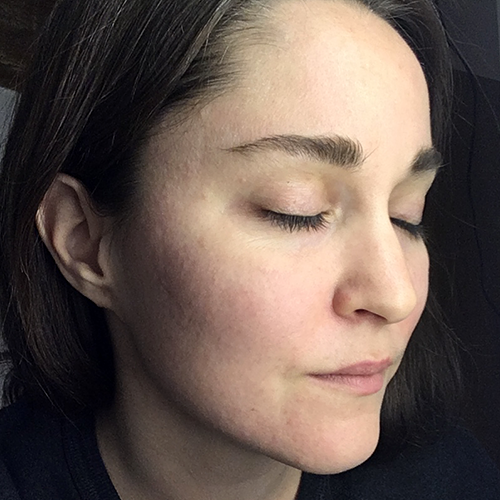 Last week, Dr. Anna gave me an advanced (and far less bloody) version of the ‘Vampire Facial’ by which has left my skin clearer, voluminous and youthful than it has been in years. Simply put: PRP involves microneedling followed by the application of the patient’s own plasma. What separates the ‘Vampire Facial’ that you’ve probably seen on Instagram from what Dr. Anna performs, is that she using only the nutrient-rich yellow plasma on your skin. First, Dr. Anna applied a complimentary paraffin hand treatment which relaxed me while she drew a two vials of blood. She then placed the vials in the PuraPlas machine which spun the blood and separated the red and yellow blood cells, leaving the gooey yellow plasma on top. Using a Dermal Roller SR, Dr. Anna rolled tiny punctures into my skin, which felt akin to tiny ant bites which quickly subsided. Then, Dr. Anna rubbed my own plasma into my face, explaining that it worked like when you graze your knee and your blood rushes to the area to create new skin. My face looked a little red but I felt no discomfort. The plasma dried tight over my skin, and I left it on for four hours after treatment. That evening, 12 hours after treatment, I began to see results. My face looked and felt puffy—like brand new skin, just like Dr. Anna described. 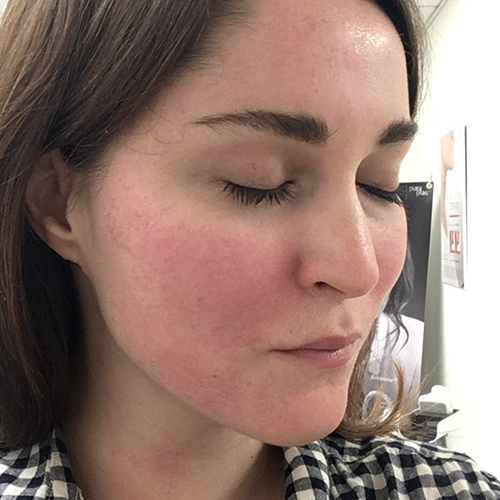 A week after treatment, and the texture of my face has changed—goodbye tiny lines! I’ve stopped wearing makeup everyday, and I’m finding that cleansing with Dr. Anna’s Face Wash twice a day is enough to maintain the smoothness and glow. After years of expensive salon microdermabrasions, harsh lasers and fad facials, I can say with authority that PRP is the best skin rejuvenation available. From PuraPlas: “Platelets are cells that naturally assist your body in healing and generating new tissue. Platelets also contain Growth Factors, which are involved in stem cell migration, and ultimately activate, rejuvenate and regenerate cells throughout the body. By isolating the platelet-rich portion of your blood and injecting it back into target regions, you are able to fight the signs of aging and correct imperfections using your body’s natural biology.